The off-road version of the redesigned Impreza compact is a great value for those who take living in the Pacific Northwest serious. It's easy to argue the 2018 Subaru Crosstrek is the ideal vehicle for recreationally-minded, environmentally-conscious Pacific Northwest residents. Based on Subaru's compact Impreza all-wheel-drive hatchback, the Crosstrek is raised to provide a full 8.7 inches of ground clearance and the suspension is outfitted with Stablex dampers to handle the additional height. And, when ordered with the Continuously Variable Transmission, a push button activated X-Mode function automatically slows and manages the descent down steep inclines. But the Crosstrek also gets up to 33 miles per gallon, which is among the best of any all-wheel-drive vehicle, and is small enough to easily navigate urban traffic and fit into tiny parking spaces. And the interior is still large enough for five adults. 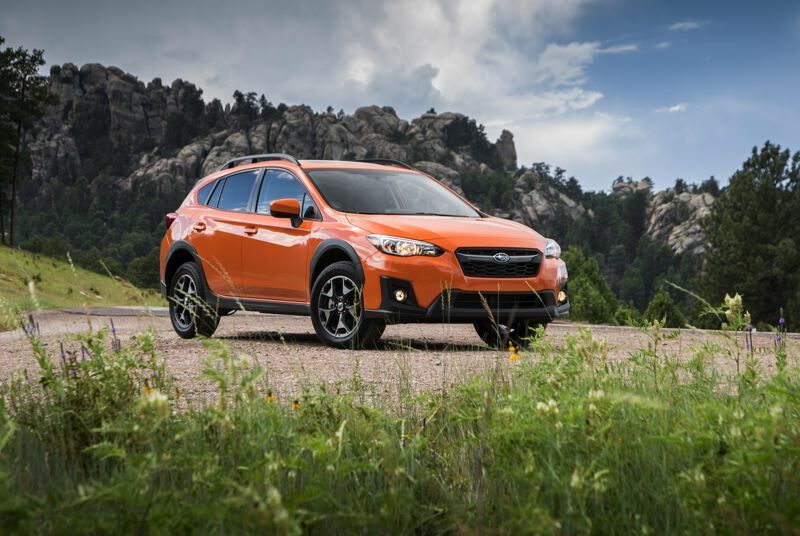 Best of all, the base Crosstrek is priced under $19,000 while our almost fully loaded Premium version was still under $27,000 — and includes such options as a power moonroof and six-speaker stereo system. All trim levels also come with Active Torque Vectoring for improved handling. It achieves this by applying slight brake pressure to the inside front wheel automatically as the driver begins accelerating out of a corner. This reduces cornering understeer, which occurs because of front-rear vehicle weight imbalance when cornering. Perhaps the only drawback is the relatively low 152 horsepower produced by the only avalable engine, a 2.0-liter flat four. We didn't find that to be a problem in a week of driving our CVT-equipped version, which is calibrated for quick starts off the line. But it loses momentum as the speed increases, and steep hills and freeway merging could be challenging with a full crew on board. 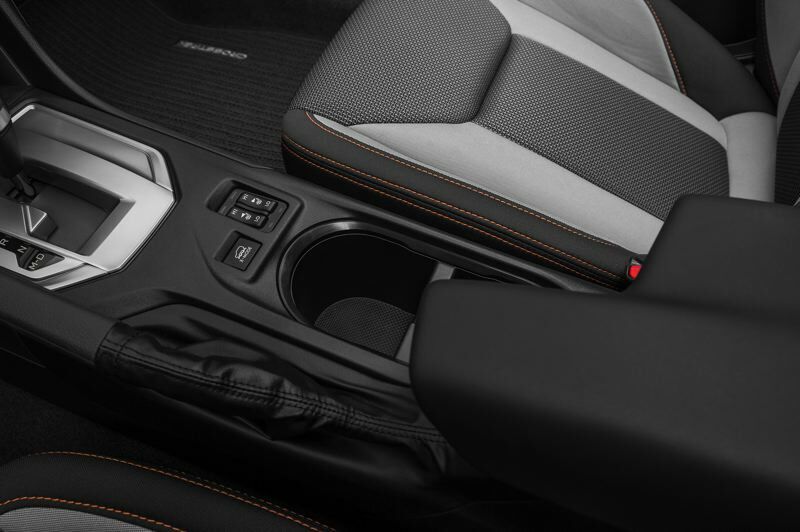 But the Crosstrek comes standarsd with a six-speed manual transmission that will allow drivers to better manage the engine's power curve. Until recently, Subaru was a small Japanese manufacturer with a loyal cult following. As the only company offering all-wheel-drive in all of its relatively inexpensive vehicles, buyers were willing to overlook its less than industry-setting production standards. But Subaru set about upping its game a few years ago, dramatically increasing the design and quality of its newest vehicles, and even pioneering advanced safety systems. The results have been a huge sales boost for Subaru, which must now be viewed as a serious competitor to any other affordable car manufacturer. 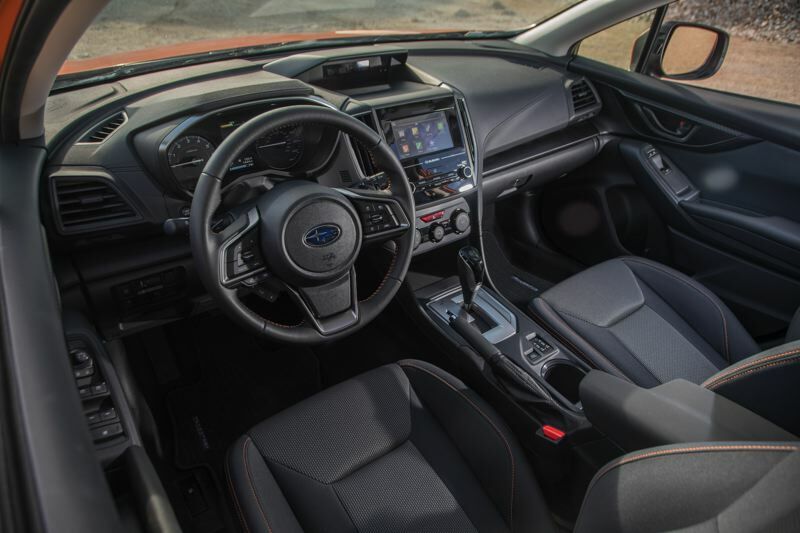 The Impreza was redesigned this year and is almost 95 percent new. Although not the most attractive compact on the market, it is a lot less boxy than the last generation. A large front grill even imparts a slightly sporty look, which is complemented by a slightly sloping roofline at the rear end. Although the Impreza is available as a sedan, all Crosstek's a based in the five-door hatchback version. The interior is even more improved, however. The top of the dash, which once looked like a large slab of rubber, now has an integrated information display and even leather trim in upper end models. The rest of the controls follow Subaru's form follows function design sense, which means they are easy to find and use. The standard 6.5-inch display screen with Apple Carplay and Android Auto was easy to use but hardly state of the art. What also stood out was the optional EyeSight Driver Assist safety system, which consistently warned of vehicles in blind spots and those ahead slowing too quickly. Other safety features included effective but not overly obtrusive lane departure warnings. 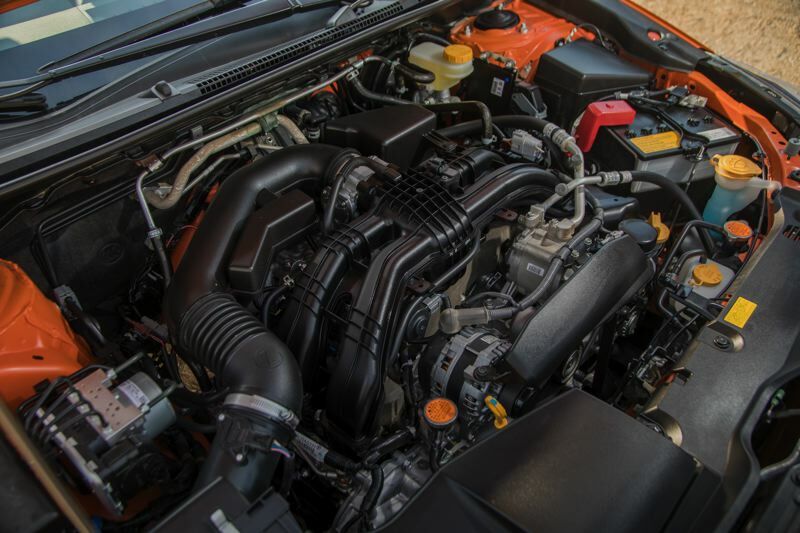 Although not standard equipment, having it all available on a sub-$28,000 vehicle is a significant accomplishment. 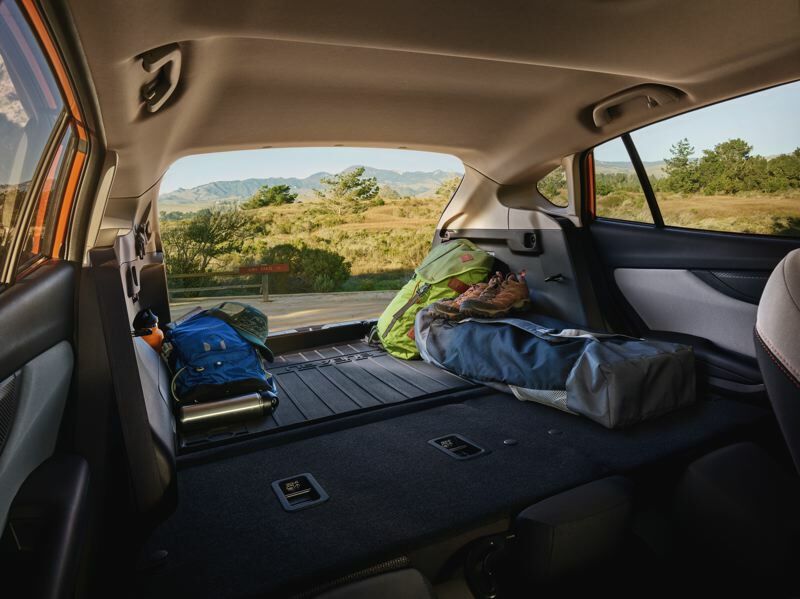 If you want more room, Subaru makes larger vehicles, including the mid-size Outback wagon. And it just now bringout out its first three row crossover SUV, the Ascent, which should broaden the company's appeal even more. But when value is considered, the 2018 Subaru Crosstrek is hard to beat, especially for those who take living in the Pacific Northwest seriously.